Some would call it karma. An Italian far-right politician who opposed making some vaccines for children mandatory has contracted chicken pox, according to reports by Italian media. 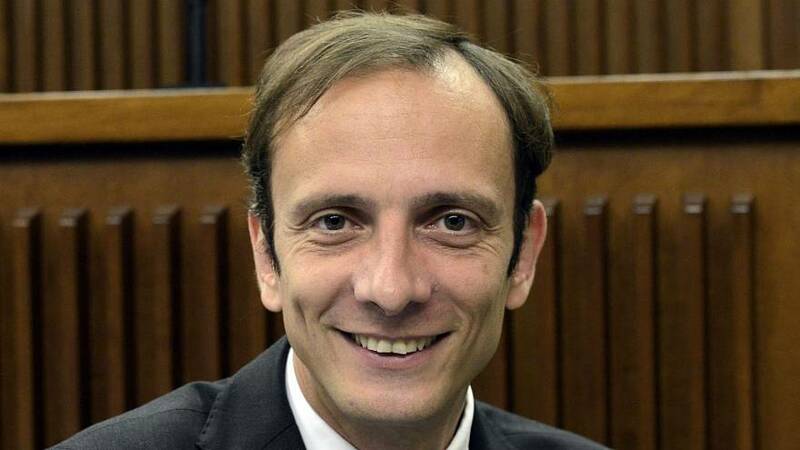 Massimiliano Fedriga, a member of the right-wing League party was hospitalised earlier this month with the highly contagious chicken pox infection, which causes an itchy rash with red fluid-filled blisters. Fedriga was placed under observation for four days, said La Repubblica. As president of the northeastern region of Friuli-Venezia Giulia, Fedriga vehemently opposed the "Lorenzin law," which made it mandatory for school-aged children to be vaccinated against several diseases including chicken pox, measles, and polio. The law came into effect last week and will fine parents up to €500 if they send unvaccinated children to school. Children under six who are in a nursery or kindergarten can be completely turned away under the new law. The ruling Five Star Movement was for a long time opposed to making school vaccination requirements mandatory. Last year, the party threatened to overturn Italy's vaccination laws but later backed down on the issue. READ MORE: Why are so many Italians against vaccines? Fedriga who is known for describing the law as "Stalinist" has been called out by Italian doctors and medical researchers for his views on compulsory vaccination. He member responded to his critics on a Facebook post where he said he had seen "celebratory comments on Twitter" about his hospitalisation. Fedriga told Euronews that he has "always been a supporter of vaccines" and he vaccinated his children "even when vaccines were not compulsory". "I am not against vaccines, on the contrary, I am in favour of a stronger alliance with the families," he said. However, Fedriga is still convinced that forcing parents to vaccinate their children won't work: "When children turn 6 they will necessarily have to go to school, whether they are vaccinated or not, and pupils might end up in classes with unvaccinated children [...] Forcing them to vaccinate their children seems a way to postpone the issue, in my opinion." Prominent Italian microbiologist, Roberto Burioni, warned against the dangers of not vaccinating children against highly-contagious diseases like chicken pox. "Unfortunately, chicken pox is not only very contagious (and dangerous) but is even transmitted by patients before the onset of symptoms," he said on Facebook. The doctor said that if Fedriga had been vaccinated as an adult, he would be in "perfect health". "The only way we can avoid these tragedies (because they are tragedies) is to vaccinate ourselves to prevent the circulation of this dangerous virus, which, as it has hit, could affect a much more vulnerable person." Italy has seen a surge in the number of a measles case in the country, according to the WHO.